Reading response activities. Students should work in pairs or small groups to discuss literature read. Book buzz is a less formal approach to book club type questions. Book buzz is great whether or not students have read the same stories. 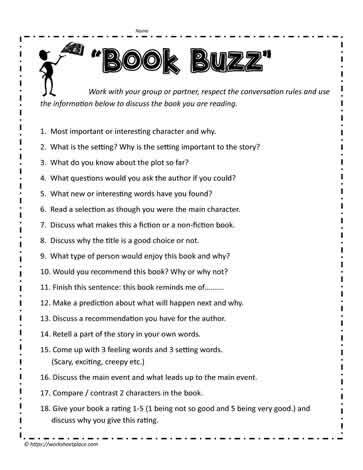 Book buzz provides an opportunity for accountable talk and engaged learning. Book buzz can be done orally and it can be done using jot notes.